Students who enroll at the University of Mississippi after the 2014-15 academic year must use the following course requirements for a B.A. in History. See the General Education/Core Curriculum for the College of Liberal Arts. A major in history for the B.A. degree consists of a minimum of 33 semester hours, which may include a maximum of three survey-level courses (100-level courses) and must include at least one advanced research course from HST 494, 498, or 499. 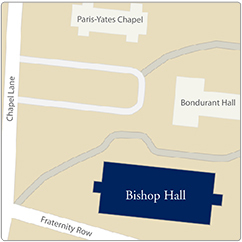 Of these 33 hours, students must take at least 6 hours in each of the department’s three main focus areas: a) American history, b) European history, and c) histories of other regions. 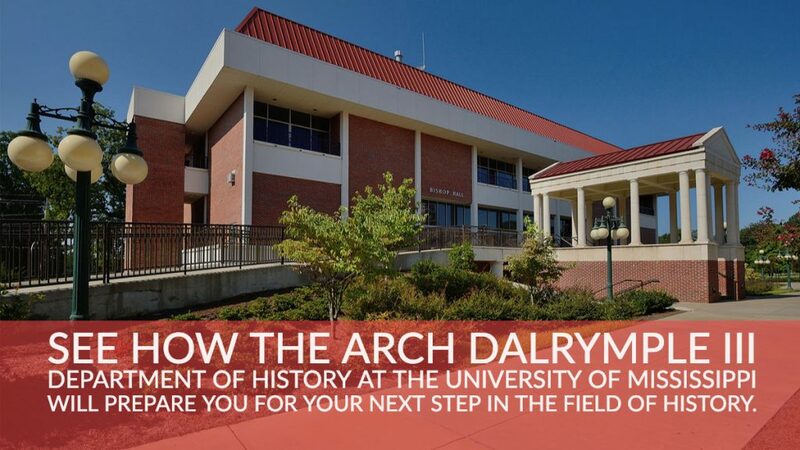 The Arch Dalrymple III Department of History website has the list of courses that meet these three areas. History majors should also take courses that reflect the chronological diversity of course offerings. A minimum grade of C is required in all History courses applied by a student toward either a major or minor in history. A list of the regional designations for each course can be found here. For a full list of courses, see the Arch Dalrymple III Department of History catalog. Students who were enrolled at the University of Mississippi prior to the 2014-15 academic year have the option of using the following course requirements for a B.A. in History or the course requirements for a B.A. in History listed above. Please contact your advisor for more information. A major in history for the B.A. degree consists of a minimum of 33 semester hours and must show a reasonable balance between United States and non-United States courses. All history majors must take History 120 and one other non-U.S. 100-level course (selected from HST 121, 160, 170 or 180). One additional 100-level course, including either of the U.S. surveys (HST 130 and 131), may also be applied to the major, but is not required. All history majors must also take one advanced research course (HST 494, 498, or 499). At least six hours of 300- or 400-level courses must be outside United States history and outside European history since 1648. The following courses meet this last requirement: 301, 302, 305, 306, 307, 309, 310, 311, 317, 319, 321, 322, 323, 350, 351, 360, 361, 362, 363, 366, 367, 368, 370, 375, 381, 382, 383, 387, 388, 389, 482. Additionally, 481, 494, 498, and 499 may also be applied toward this requirement with the approval of the department chair.